Jakarta Vice Governor, Djarot Saiful Hidayat visited to SMAN 70 and SMAN 6, Kebayoran Baru, South Jakarta, Monday (2/29). This is a way to anticipate clash between both schools that are located only about 200 meters at Jalan Bulungan.
" Fight is one by one in a ring, this is gentle you know, instead of clash. That's why I ask principals to monitor student activities at school." "Fight is one by one in a ring, this is gentle you know, instead of clash. That's why I ask principals to monitor student activities at school. I don't to hear or see clash between SMAN 70 and SMAN 6. You must be peaceful," he expressed, Monday (2/29). 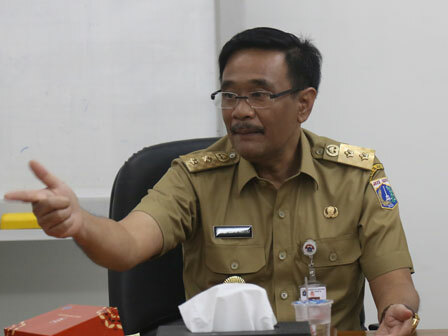 Djarot asked students to become an ambassador for peace. Considering both schools are good and favorite in Jakarta, thus they must be united. "Both in Jakarta, is one of the famous high school in Bulungan. I can see you guys are incredible, you have the choice of all," said Djarot loud applause greeted students, teachers and principals. He continued the students should be proud to be accepted at the favorite school. Because many students hope to study in SMAN 70 and SMAN 6, but foundered because the test score are not eligible. Thereby, he wants students to restraint and uphold the values of friendship. Explicitly, he stated, clash will defame school name and city administration. "I don't to see clash anymore. You are friends. It is embarrassing your school name, and disgrace the good name of the city government. Should no longer happen," he finished.